Reds of the World will be a series of interviews with supporters from around the globe. If you’d like to participate, get in touch with me via Twitter, @kframpton. Leading off is Nate from the Indian Ocean port city of Durban, South Africa. This vibrant city of around 3.5 million was one of the hosts for the 2010 FIFA World Cup, including the semi-final match where eventual champs Spain defeated Germany by a score of 1-0. Durban is also home to rugby’s Natal Sharks, Dolphins cricket and two teams from the South African top flight – AmaZulu and Golden Arrows. My name is Nathan Kunz from Durban, South Africa. I am 23 years old and have been supporting United for about 15 years now. 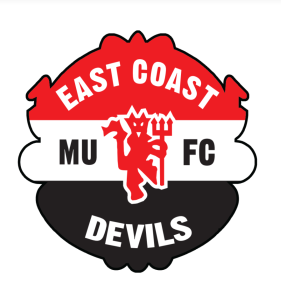 I run a Supporters Club here in Durban that I have named the “East Coast Devils” and have been doing so for the last 2 years now. The whole point behind it is to get as close to an atmosphere as would be experienced in Manchester supporting United and it has slowly started building a good following here. We try to get together for as many games as possible. 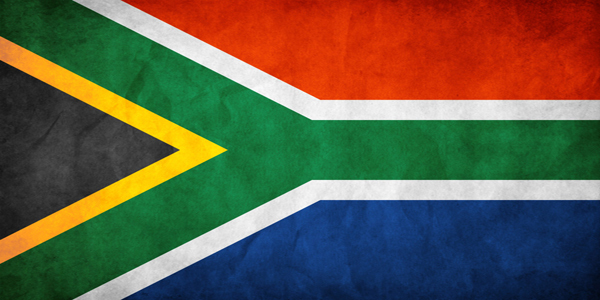 Unfortunately, it hasn’t been recognized by the club yet, but hopefully this year we will link up with the South African supporters club and gain affiliation that way as a branch of the SA club. How did you come to support Manchester United? My dad – a lifelong Tottenham Hotspur supporter – initially got me into football and my love for the game started there. Football represents a huge part of my relationship with my Dad so it’s something I hold very close to my heart. Being quite young, my first memories of watching football are from when I was about 8 years old. Having idolized David Beckham as a youngster, as most people do, I started supporting United because of him. To this day I still think he is one of the greatest to have played at Old Trafford, the man just oozes class too. My best friend used to support United and my love for the club just grew from there. I’m naturally a passionate person and the draw of Manchester United has had my heart for years now! It’s a big part of my life and who I am. There’s something special about supporting our club that I struggle to put into words. The romance and the history of the football club are unparalleled, and to say I support Manchester United so avidly makes me proud every day. 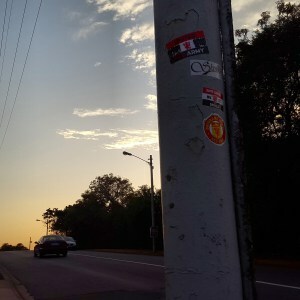 Our support base is so diverse, and sometimes frustratingly so – but the supporters that are head over heels about the club are amazing and I immediately can relate to someone if they support United. You just feel a link to them instantaneously. Who is your favourite current player and why? Rewind a year ago and I wouldn’t have hesitated answering David de Gea. I think when he initially arrived at the club and watching him overcome the obstacles he had at Old Trafford and growing into the player he is today – I grew a bit of an attachment to him. 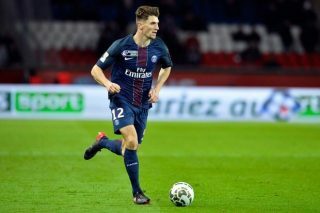 This whole Madrid transfer saga has left a bitter taste in my mouth and either way I hope it gets resolved soon. He’ll be the best keeper in the world in a few years time, it’s such a pity it looks like it won’t happen in a United shirt. Favourite current player now I’ll say is a toss up between Michael Carrick, Ander Herrera or Juan Mata. Carrick is so underrated in the way he approaches the game. He makes everything look so simple yet majestic, and that was clearly obvious when we had him in the team last season. I enjoy Herrera and Mata for obvious reasons. The bromance they have (with David as well) is great to see off the pitch, they look like genuinely good guys. On the pitch though, there’s not much more in football that I enjoy watching than those two linking up together. Liverpool away last season is a prime example! Who is your favourite past player and why? I’d have to stick with David Beckham. Purely because he is one of the main reasons I initially started supporting the club, so he can probably claim responsibility for a big part of my life. I’d mention Scholesy, Giggs, Paddy Evra, Cristiano and Gary Neville in the same breath, all for different reasons. What is your favourite Manchester United moment? One standout moment that I’d love to mention is the first time I saw Old Trafford. We had driven up from London and I can’t remember what street it was we drove down, but I caught a small glimpse of the top of the stadium and it brought tears to my eyes. It was a surreal moment. Standing in the Stretford End for the first time is something I will never forget. Another one that sits fondly in the memory banks is Fergie’s retirement. It was such an emotional period for us because obviously we all knew it would happen one day, but I wasn’t prepared for it. We don’t get MUTV in SA anymore, so I had to stream the trophy parade and just watching it all made you realise just how special that Scotsman really was. The scaffolding Reds that day, absolute classic! Have you ever been to Old Trafford or seen the club live on tour? I’ve been fortunate enough to see United play on quite a few occasions, mostly at Old Trafford. I struck it lucky with my first game at Old Trafford being a 7-1 thrashing of Blackburn Rovers, notably memorable for a 5 goal haul by Berbatov that day. I’ve seen United lose 4-0 at Upton Park in the then Carling Cup – a day I actually enjoyed having experienced United’s away army first hand and for the story of my cousin and I getting lost trying to find our car after the game. 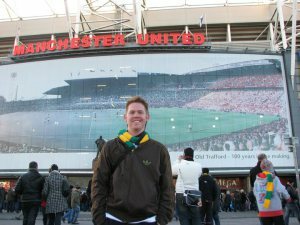 I’ve also been to a Champions League group game at Old Trafford, and my most recent game was at Old Trafford on Boxing Day in 2012 against Newcastle. We were sat 2 rows behind the goal Chicharito scored the winner in. United were down here preseason that year, the last tour Fergie did with United. How do you typically watch United games? 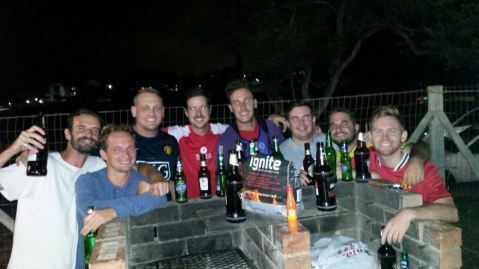 Typically I’ll either watch at home sat comfortably on my couch or here in South Africa we have what we call a “braai” – which is basically like a BBQ. We’ll head to a mates house and have a braai, sipping on a few beers and watching the afternoon’s football. I try to get as many guys as possible together at various pubs around town from the East Coast Devils vibe and we’ll all watch it together. Best attendance to date was around 100 people for the game away at Anfield last season. I’ve probably only missed 2/3 United games in the last 5 years, so I’m easy with the venue as long as I can watch the game and have the commentary on! 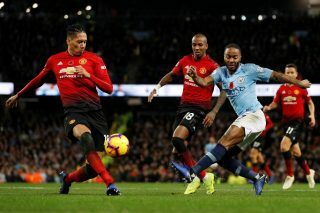 A 3pm kickoff in in Manchester will be a 4pm/5pm kickoff here depending on where we are with daylight savings, so we’re quite fortunate here in South Africa that we can watch games at a decent hour. Is football the most popular sport in your country? What others do people watch? It’s certainly up there, it depends on what cultural background you’re from here. Rugby, football and cricket are the most popular three. There is a huge following for the sport here regardless, although the standard of football locally is probably more lower-Championship/League 1 standard at best. I don’t follow a lot of local football to be honest, it just doesn’t interest me. One thing I will say, is when it comes to what locals support here, it’s extremely diverse. United, Liverpool and Chelsea probably are the most well supported English clubs here, United have a huge following in Durban. All of sudden I’ve started seeing Manchester City shirts pop up here and there. Ironic isn’t it! When it comes to the Spanish teams, Barca probably have the edge over Real Madrid, you see a lot of Barcelona shirts around, I think the way they play football is very appealing and you probably find a lot of people here just enjoy watching them play. Where will United finish in the Premier League this season? I predicted second before the season started with Chelsea retaining it but have slightly changed my mind since the opening weekend. It pains me to say it but if City can continue this start they’ve made, I wouldn’t look past them for the league. Their pace and how quickly they’re moving the ball around are going to do them wonders this season but we are yet to see just how long they can keep up that style of football, let’s hope not for long for our sake. I think Louis has added to the squad quite adequately. Matteo Darmian looks to be an absolute steal for what we paid for him. Adding Schneiderlin and Schweinsteiger to our engine room is a far cry to what our midfield looked like a few years back. Schweinsteiger brings that “presence” and leadership we’ve been missing from our midfield for a couple of years and I’m one of those that feels he’s going to play a huge part in our success over the next few seasons. As for Memphis Depay, it’s such a huge relief to see a player like him in the #7 shirt, everyone draws comparisons but he does tend to remind you a lot of a younger Ronaldo, good and bad traits. I just love the confidence he has in himself and hopefully he will fulfill the potential he has and go on to be a big player for United. 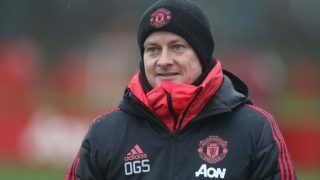 I don’t think we’re done yet in the transfer market, there’s still a few areas to sort out and Van Gaal won’t be someone who will over look those areas. I don’t feel second is beyond us and I personally feel it would be an achievement. After what David Moyes did to us in his short time in charge, a bit of patience is needed from our support. Being fourth last season and second this season is not what we should be content with, but I think we have to take into consideration what’s happened at the club over the last two seasons. Second place this season, league champions next – not a doubt in my mind! 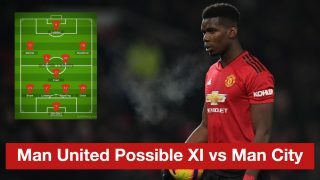 Will United win a trophy this season? If yes, which one[s]? I’d love an FA Cup win as much as the next person. Going just about a decade without an FA Cup win isn’t easy to take as it’s one of my favourite competitions. Watching Arsenal win the cup back-to-back and pass us as the club who has won it most was a bitter pill to swallow. Hopefully a lot of the youngsters get some game time in the League Cup but I can’t see us winning it this season. I expect us to progress through the group stages of the Champions League but think we’ll get as far as the quarter finals, there are some decent looking teams in that competition this year as always but again, a quarter finals finish this season would be an achievement. Of course, if we do better you won’t hear me complaining!